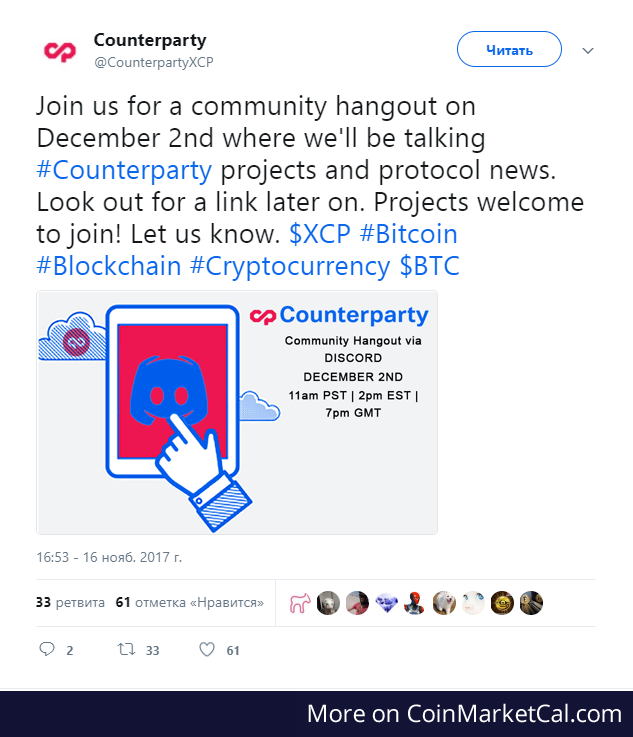 Counterparty (XCP) - Events, Price, Market Cap, Supply, Exchanges and more! 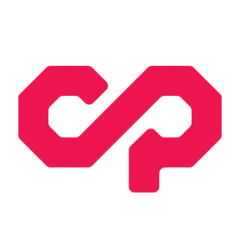 CounterParty is a protocol built on top of Bitcoin which offers a set of financial tools. By implementing the Ethereum Virtual Machine (EVM), it allows users to write smart contracts on the Bitcoin blockchain. 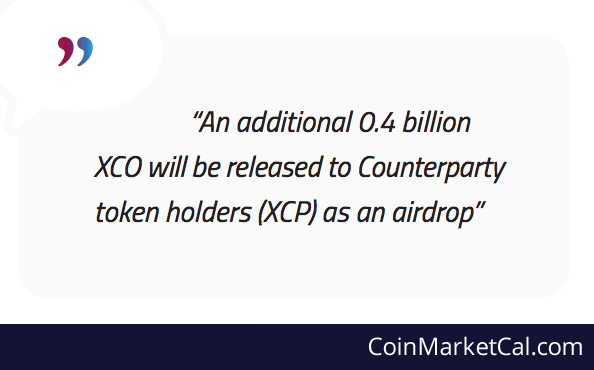 XCP is used to fuel the smart contracts on the CounterParty protocol. 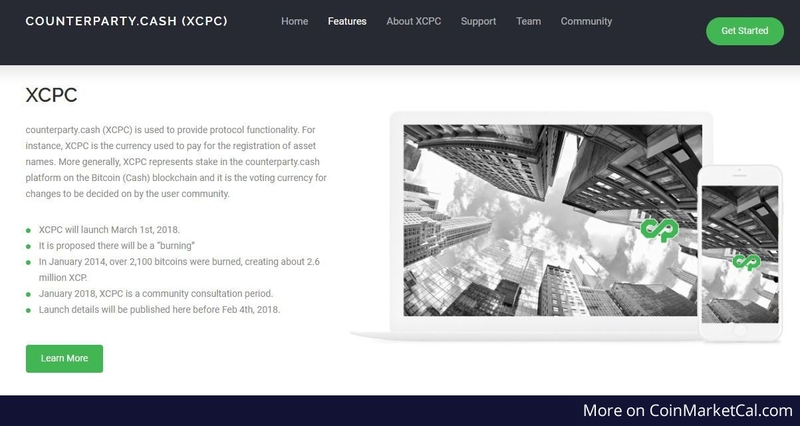 In addition, XCP is used for voting rights and can be traded on CounterParty’s Decentralized Exchange (DEX). 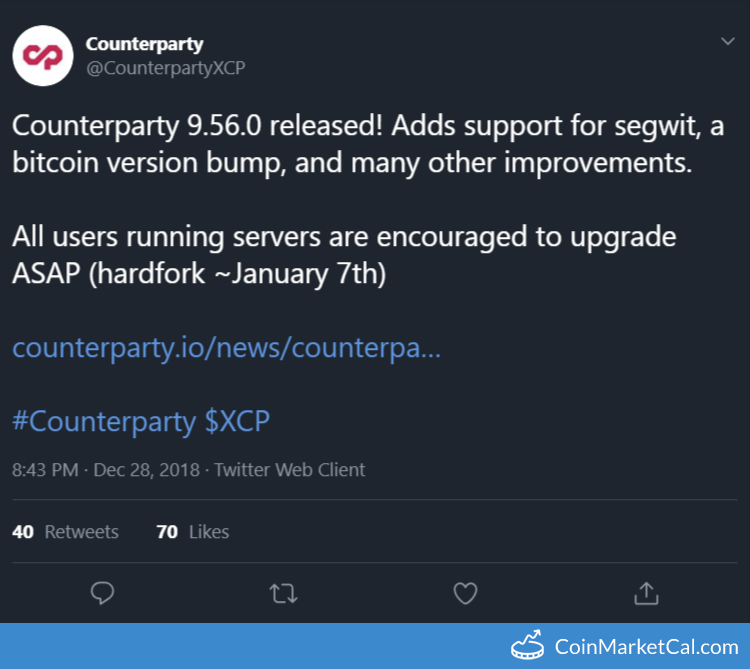 Counterparty 9.56.0 hardfork around January 7. All Counterparty holders will receive an airdrop of the new Coinweb coin sometime before the end of May 2018. 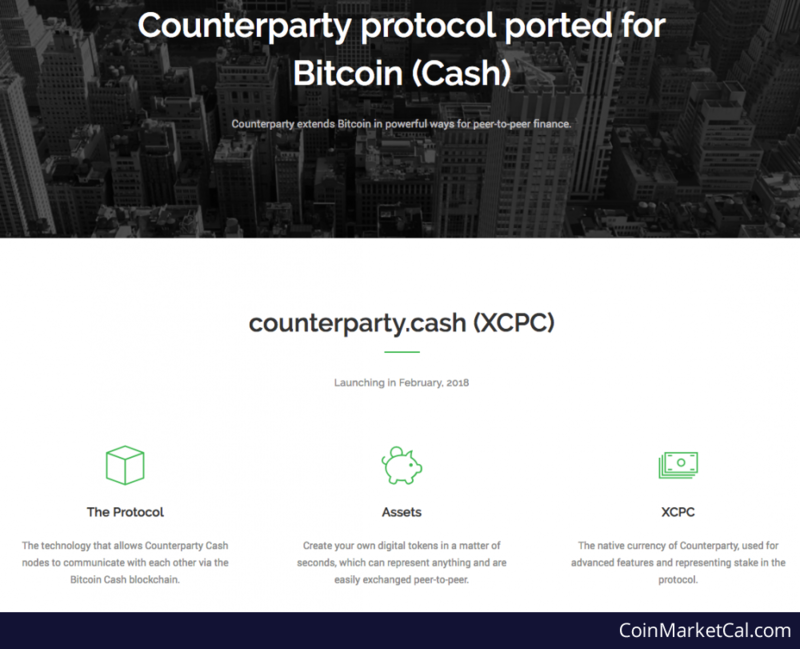 XCP fork to XCP (CounterParty Cash) date has been revised from Feb 28th to Feb 18th. Expectation of enumeration to existing XCP holders. Multi-Peer Multi-Asset Sends will allow many assets to be sent to many peers in a single transaction, reducing fees. XCPC will launch March 1st, 2018. More details to come by February 4th. Hardfork of XCP into XCPC details to be posted before Jan 31st.